Happi offers Kiwi parents and childcarers a new, more empowering way to access or provide childcare for babies and preschoolers within our local communities. Join Happi as a family! 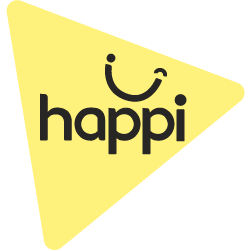 Join Happi as a carer! Founded by a passionate team of KIWI PARENTS, including the brains behind givealittle.co.nz, we have designed a new way for licensed home-based early childhood education to challenge increasing commercialisation of education and care in the early years of life. We wholeheartedly believe that children should be at the centre of communities, not companies. And we want every family and carer to benefit directly from the Government’s existing investment in their child, especially in the first 1,000 days of life. This means: MORE FUNDING FOR childcare costs for families. More DIRECT FINANCIAL SUPPORT for childcare activities and resources. mORE FUNDING FOR CARERS, for the important work of caring for children. We’re a licensed early childhood education provider and all the usual subsidies apply - 20 ECE hours for 3yo and over, and WINZ assistance by application. But the big difference with Happi is Happi Credit: Government subsidies that other ECE providers use for operational costs and profits, that we make 100% transparent, individualised and self-directed so that children benefit more directly from these resources. It’s up to every family and carer how they want to use Happi Credit. families and carers complete Happi Tasks under the support and guidance of a qualified ECE Happi Partnership Teacher. Happi also charges a small service fee on all funding passed through our community focused childcare service. Christchurch. Join our tINY revolution today.